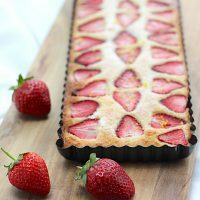 If you’ve been looking for a super simple, easy and quick keto dessert, this easy Keto Strawberry Tart is for you! 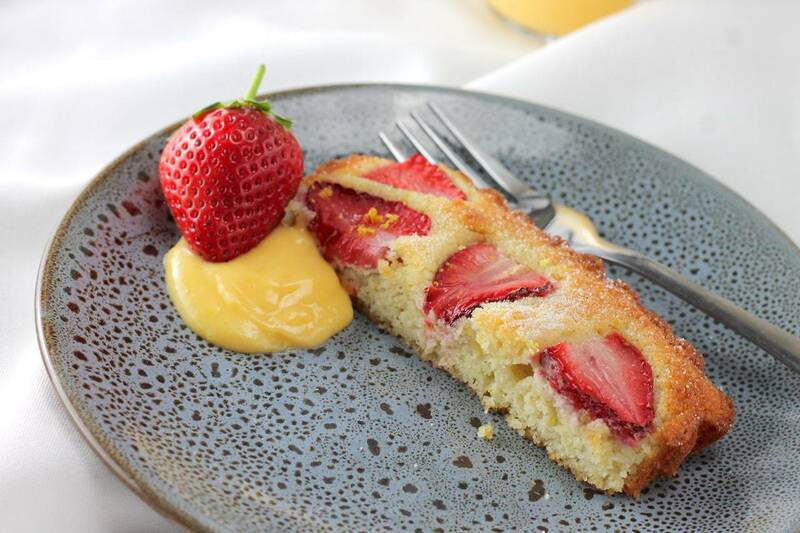 It’s one of those versatile recipe bases that give you a beautiful, rich and moist cake. 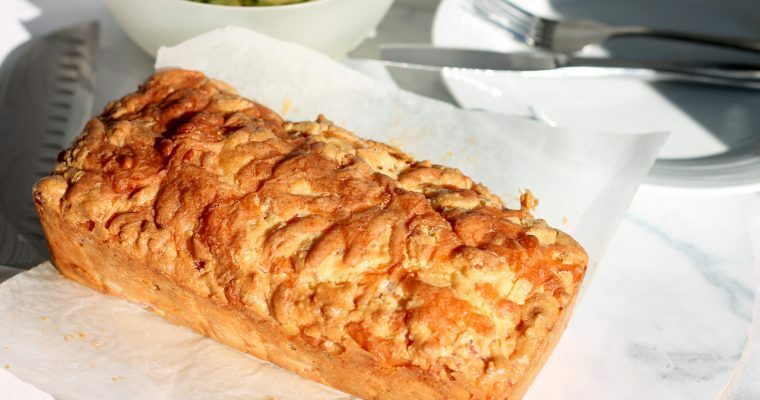 Being such an easy keto dessert recipe, and not using any hard to find ingredients, I have no doubt it will become a regular in your keto cooking repertoire. As with all keto treats, just remember that these are TREATS, not every day pleasures! Sweeteners, even when they are low carb, can still have an effect on your blood sugar and insulin levels. 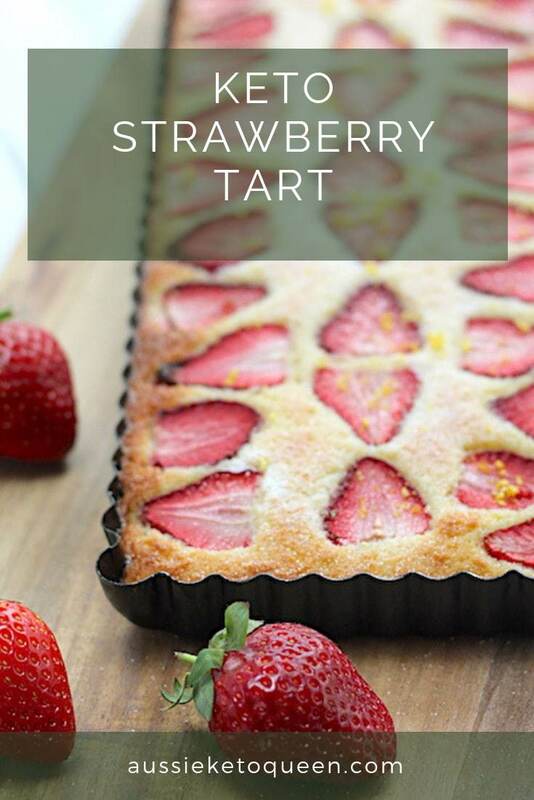 I make keto desserts like this easy Keto Strawberry Tart maybe once a fortnight, often freeze some and give a lot of it away. It’s also a great keto dessert if you are entertaining, as it’s delicious whether you are keto or not! If you cook the whole thing and have it in your fridge it can just be too tempting. Watch those portion sizes too. This serves 10. Not 5.. I often get asked if you can use other sweeteners in these recipes. 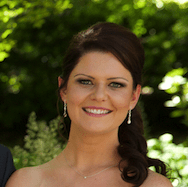 I use Xylitol for a number of reasons, but for me, one of the most important is taste. It tastes just like sugar to me, without being too sickly sweet. It also acts like sugar which is really important. For this particular recipe, I ground up some extra xylitol to dust on top to make it look extra special. I use my Thermomix to grind up xylitol to get it to a fine powder, but you could use a spice grinder or any sort of blender really. Because it uses 5 egg whites, I had the left over yolks and so decided to make a Keto Lemon Curd! It really helped cut through the sweetness, and I love lemon curd with just about anything. 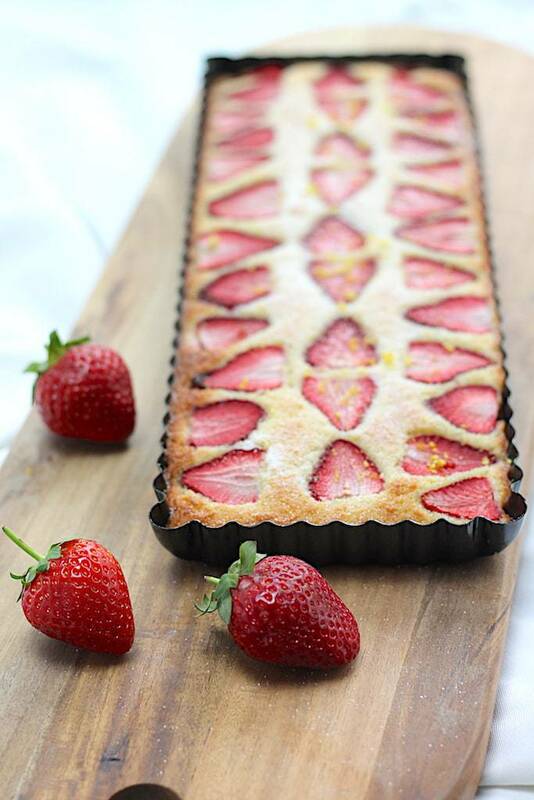 It took this lovely but simple tart to a whole new level of WOW. There was a fair bit of lemon curd left over as you only needed about a tablespoon with this tart. I had no complaints though, the keto lemon curd was so delicious I was eating it on anything and everything for the whole week! You could also serve on its own, or serve with a dollop of thickened cream. On that note, you could even serve it warm with my Keto Vanilla Ice Cream to use up those egg yolks! If you’re in Australia, you know it’s a difficult time for strawberries. These poor little fruits have been at the centre of some major controversy after some of them were tampered with. Because of this, a lot of people have been too scared to buy strawberries. The result has meant million of strawberries being thrown out and plenty of small farmers being devastated. Some won’t make it through the season after losing half of their crop because people just aren’t buying strawberries. 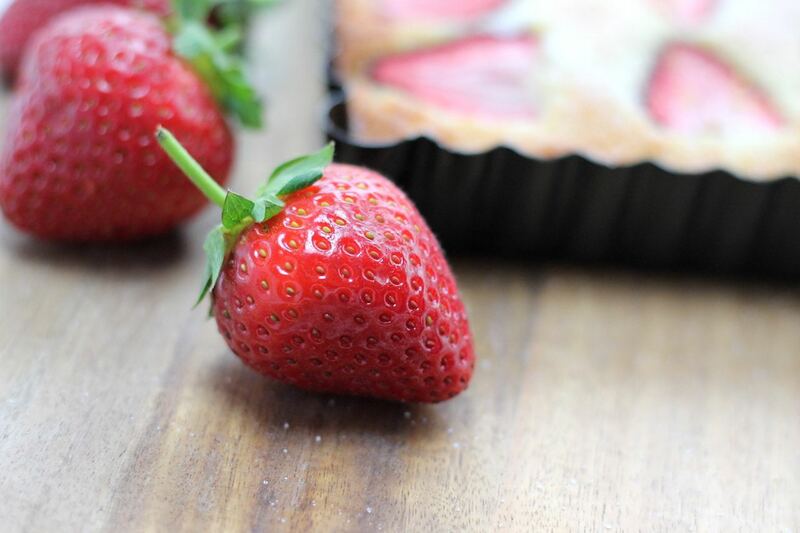 There’s nothing to be worried about – chop those strawberries, support our farmers and make a delicious, easy keto Strawberry Tart in the meantime! In season and beautiful right now … I love strawberries. 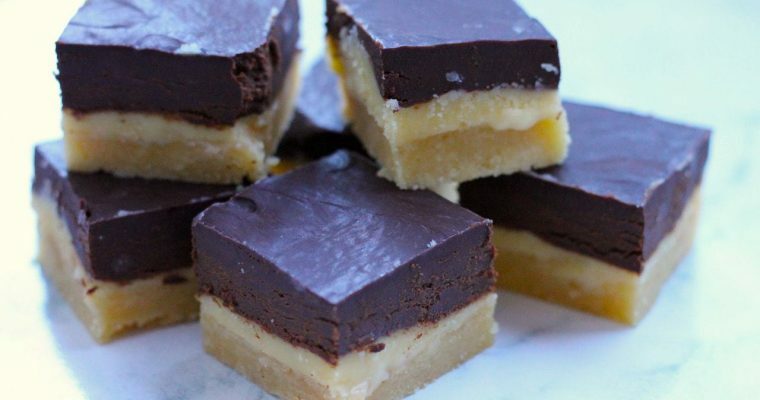 I used a rectangle tart tin for this easy keto dessert, because I’d just bought it and wanted to make a pretty rectangle tart. You could definitely use round as well though! Because it’s a more cake like tart, you can really use whatever you want. 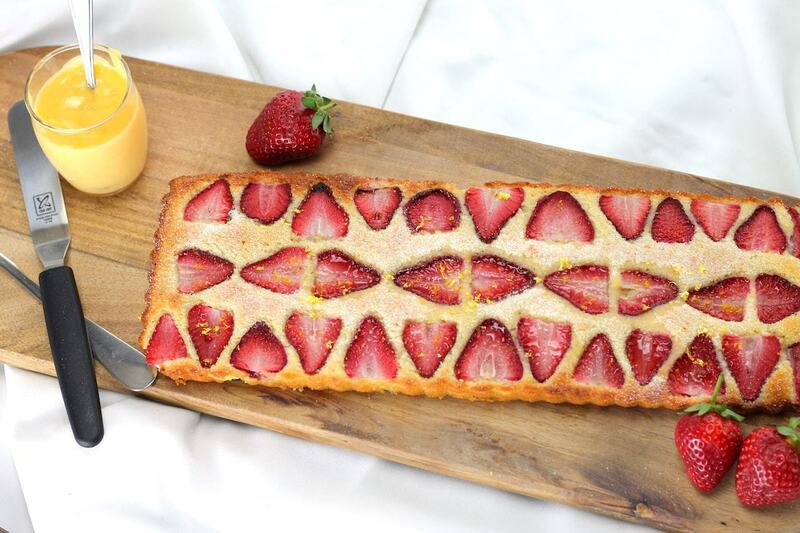 This super simple and easy Keto Strawberry Tart is on the table so quickly, you won't believe it! Preheat the oven to 190C / 374F and grease a non-stick tart tin. Lightly whisk the egg whites until foamy and add the xylitol. Whisk further until combined and soft peaks begin to form (don't worry if they don't, some sweeteners will stop this!). Add all remaining ingredients except the strawberries and fold through until evenly combined. 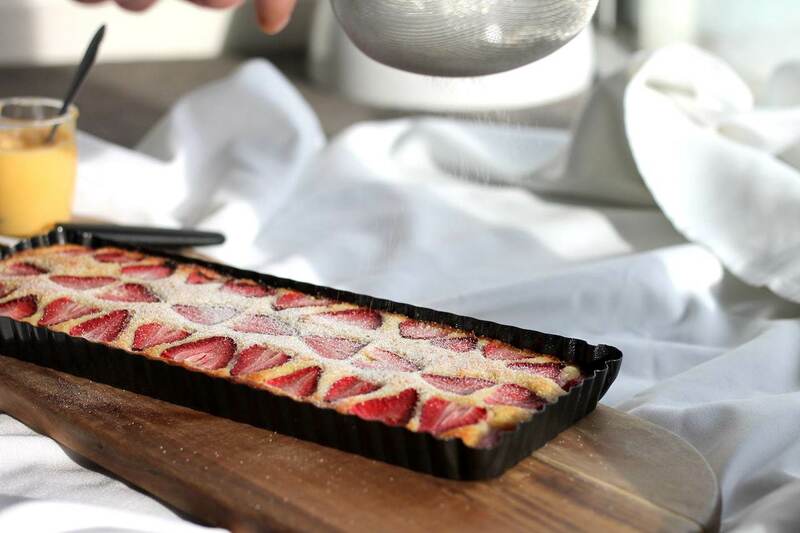 Spoon into your prepared tart tin and top with the sliced strawberries. Bake for 18 - 22 minutes until lightly golden. Serve warm or refrigerated. Easy Keto Lemon Curd, Delicious and Tangy! I can’t seem to find any carbohydrate amount listed for your recipes. Where do I find this, please? Disregard my previous question as I have found the carb count listed at the bottom of the recipe. I’ve made this twice when I’ve made the lemon curd, and I’ve messed the recipe up both times!!! My husband loved them both, so I can say with certainty that this recipe is fool proof and will work out regardless of the cooks ability to follow instructions. Thanks for a great recipe.